We enjoy strong links with other local schools in the partnership and often take part in music festivals, engineering days, sporting events or junior citizens. We also enjoy going on residential and day school trips. Recent adventures have included Coleshill House WWII Auxillary Unit, The Tate Modern London, The Steam Museum of the Great Western Railway Swindon, the Sheldonian Winter Concert Oxford and the Watermill Theatre in Newbury. Every year our oldest children go on exciting five-day residential to Yenworthy Lodge on the North Devon coast. Our oldest children also go swimming one morning a week for a term. We often organize for visitors to lead curriculum workshops with the pupils. 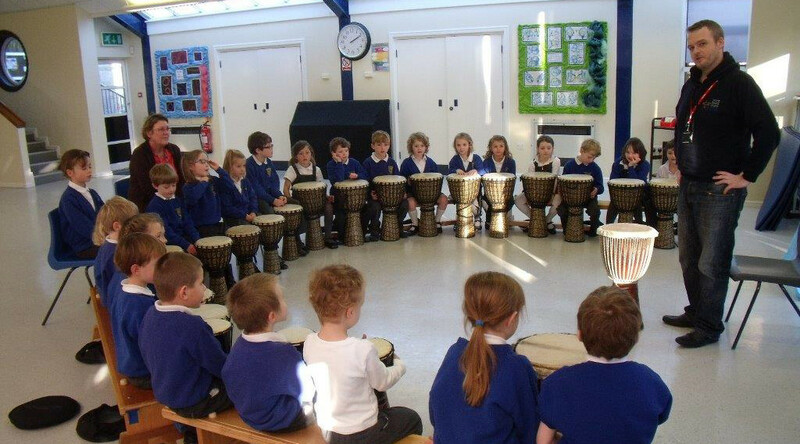 Recently we have had an African Drumming workshop, a Felt Making Artist and a Tennis Coach working alongside the school. We regularly invite parents and members of the local community to share their own expertise to inspire and extend the children’s learning.